The One show combines entertaining conversation and studio content with short films that tell the stories of Britain today and yesterday. It sits at the heart of the BBC One schedule, connecting nightly with over 4 million viewers. Technology Operations is part of the BBC’s Design + Engineering group. The department actively helps BBC programme-makers create and deliver great content across radio, TV and online. Technology Operations is principally responsible for supporting live and recorded programme output all day, every day across Network Radio, News, World Service and BBC North in Salford. As a support department, our role is to make life as easy as possible for those using the BBC’s technology, while minimising the amount of Licence Fee that is consumed in doing so. D+E support staff are responsible for delivering a high-quality technology support service on behalf of the BBC. They ensure that equipment and systems used to create, capture, manipulate and distribute BBC content meet targets for availability, performance and safety. Technicians, Engineers and Vision Supervisors/Principal Engineers support and enable multi-media production and broadcast activities to ensure the BBC provides a quality service to its audience. It is essential that role holders understand the needs of the business and the pressures faced by production teams. Vision Supervisors are characterised by their ability to be both hands on and operational, and lead from a supervisory perspective, have the ability and skill to assess picture quality form a technical and artistic perspective, their ability to develop appropriate solutions to incidents, problems and management of safety, using new or existing technologies, through innovation, creativity and change. They take responsibility for maintaining and managing applications of current and developing technology and may undertake engineering design and development of systems and services. 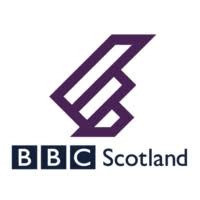 This role is for a Vision supervisor to work predominantly on one production, The One Show, however, they will at times be required to work on other productions in the studio, further to this as part of the wider engineering community supporting output from News and Global News. The successful applicant must work flexibly to meet the requirements of the programme. Demonstrable track record of multi-camera vision control of Light entertainment and/or Primetime Network programmes. Working knowledge of the underlying studio facilities.